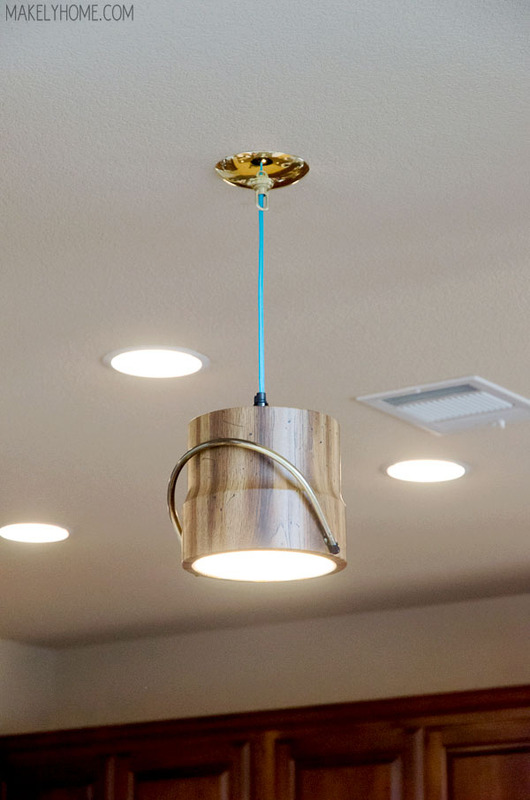 Trash Can Pendant Light from Domestically Speaking – Talk about trash to treasure! 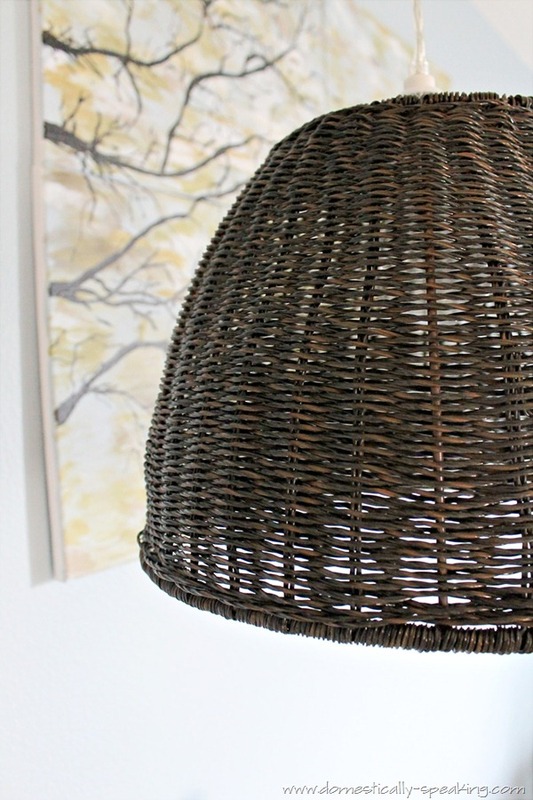 Maryann took a standard wicker garbage can and turned it into a stylish light fixture. On the Rocks from Makely Home – Perfect for the type who likes a tipple, an upcycled ice bucket is perfect above a bar. 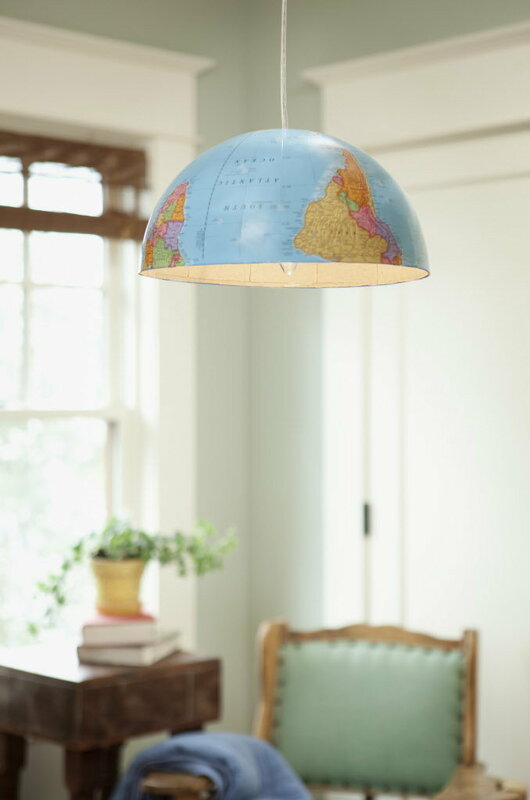 Globe Light from Oregon Live – Turn the world upside down and put a bulb in it. 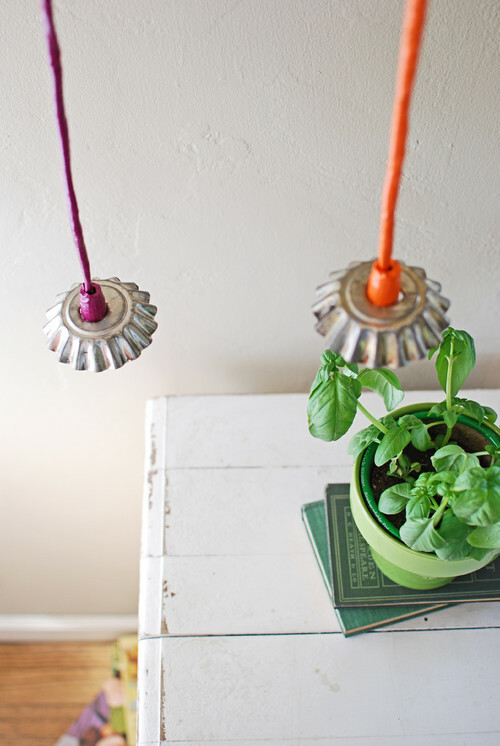 Tart Tin Lamp from Houzz – These little tins are easy to find at thrift stores and flea markets. 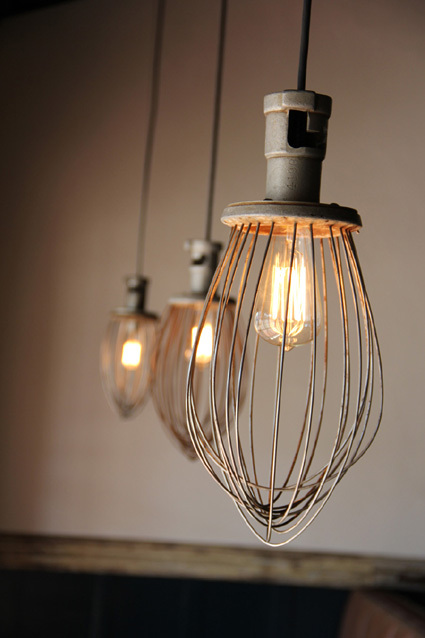 Industrial Whisk Light from Brooklyn to West – Whip up some vintage fun with one of these industrial inspired lights. 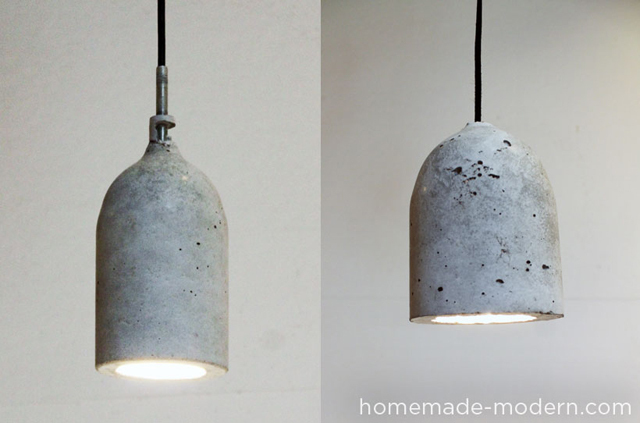 Concrete Pendant Knock Off from HomeMade Modern – The original concrete lamp is spendy. 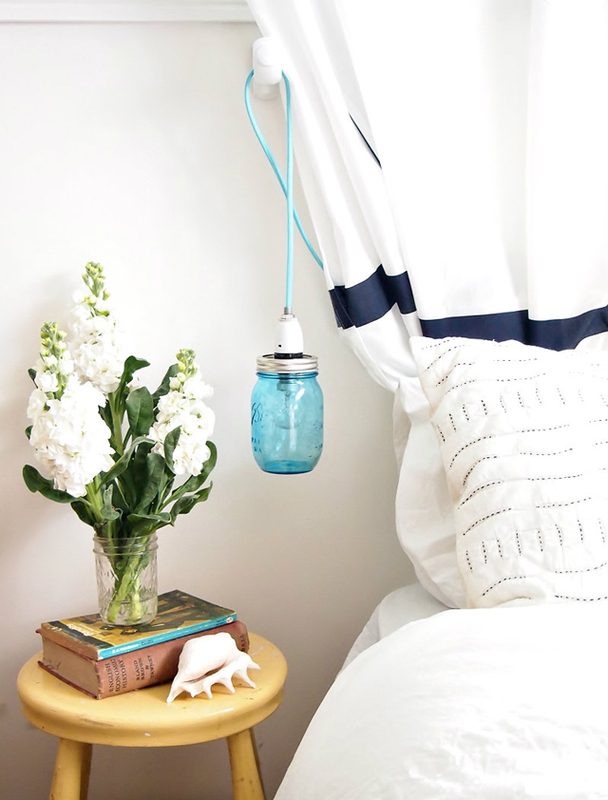 The DIY version is labor intensive but affordable. 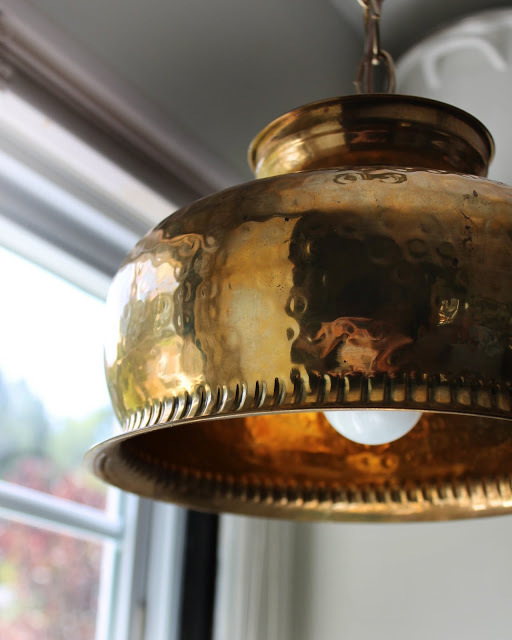 Brass Bowl Pendant from The Hunted Interior – Jump on the brass trend and add a little shine to your lighting. 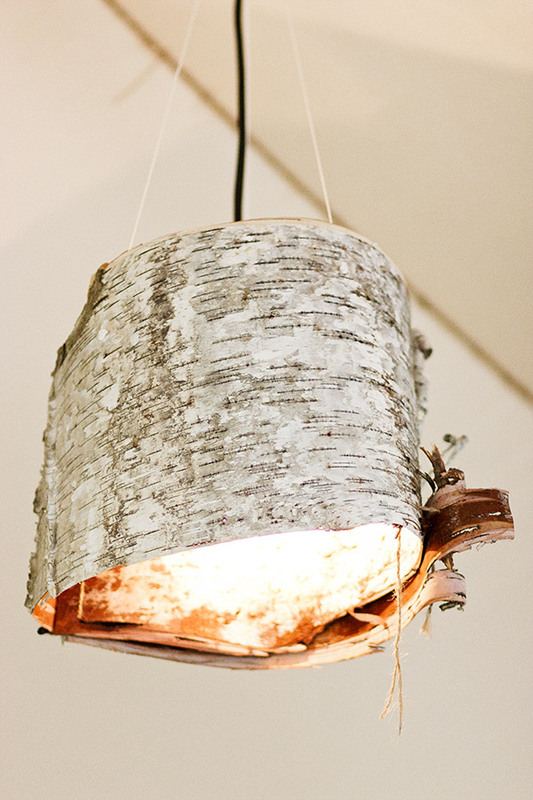 Birch Bark Lamp from Ruffled – Bring a little nature inside with this bark pendant. 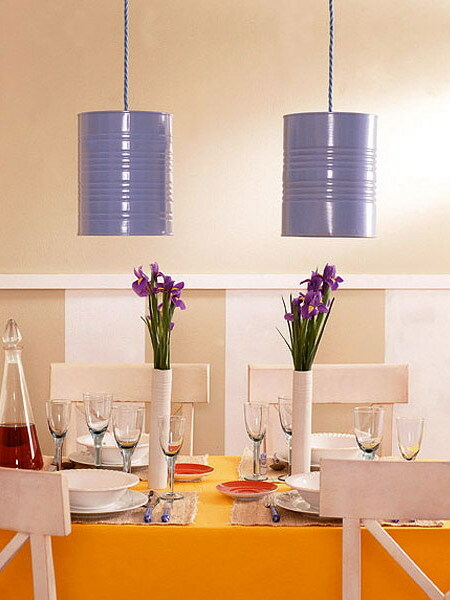 Mason Jar Pendant from A Beach Cottage – Canning jars bring country charm to pendant lighting. 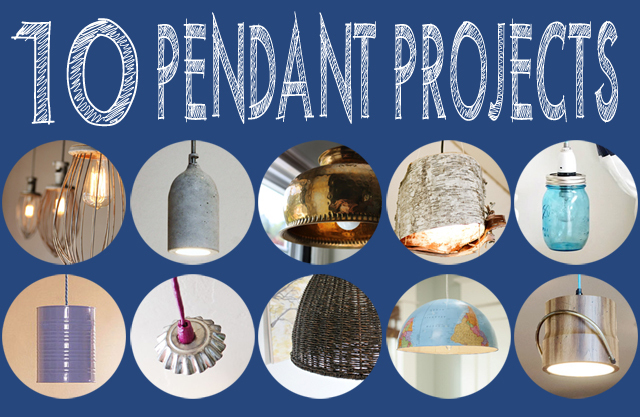 Paint Can Pendant from Shelterness – Adding a coat of leftover paint to those old paint cans can turn them into beautiful lighting.